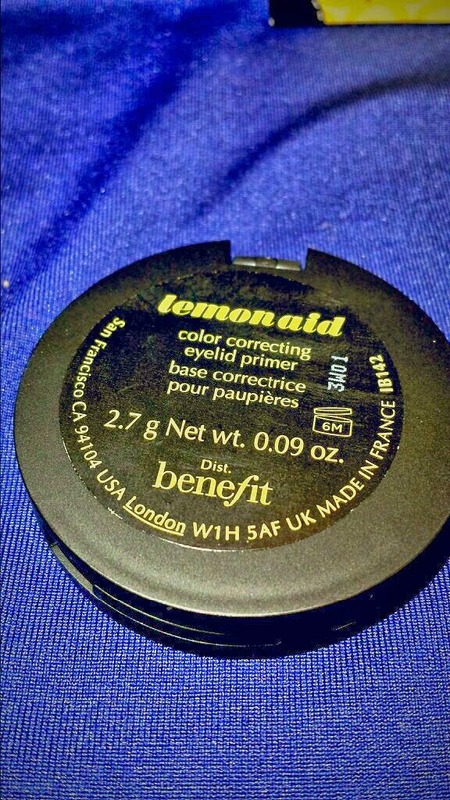 Benefit's Lemon Aid is a yellow-tinted colour correcting eyelid primer. It helps to reduce the look of reddy-purple dark circles around the eyes and can be used alone or under makeup as an eyeshadow and/or concealer primer. I suffer from dark circles. I'm a mother - sleep is a rare blessing! 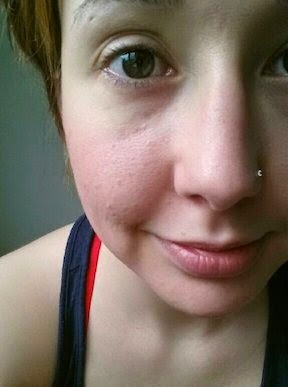 Any product that claims to help reduce the appearance of that tired, sleepless look is going to catch my attention. What better type of product to discuss on a blog that provides beauty reviews for mums and busy women? It comes in a small black pot with a lid that contains a mirror on the inside. 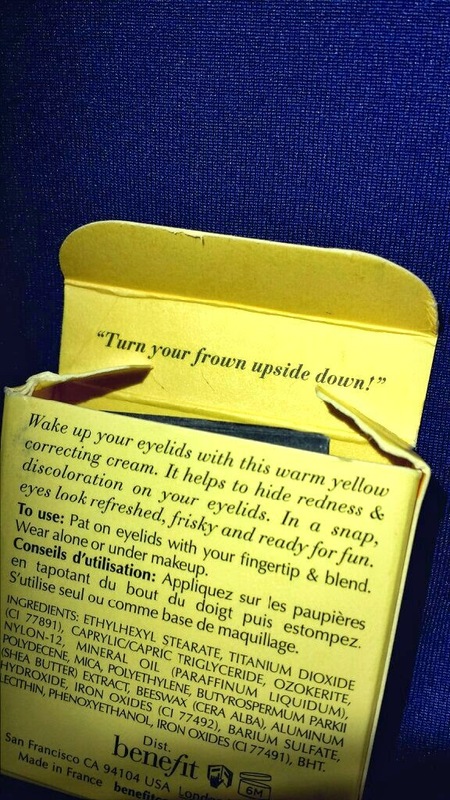 The pot is then packaged in a small yellow box. To use you simply need to use a clean finger to dab some product (not much is needed! A little goes a long way!) around your eye where there is any redness or purple. Alternatively you could use a concealer brush. Barely any time at all, but that depends on how much you're covering. I'll explain more about that in a moment! Why haven't I used this stuff sooner!? I have been eyeing it up (see what I did there?) for a while but just simply kept telling myself that I didn't need it. I have some Stay Don't Stray (also by Benefit) and concealer so why would I need this? Well I'll tell you now - I can't be without this product now I've tried it. Within seconds the dark circles around my eyes disappear when I use this. In fact, because of how well it worked, I then decided to try out a different, non-advertised use for this product; how would this work as a blemish colour corrector? At first I was a little hesitant after taking a look at the ingredients list and seeing oils listed (I suffer from oily, blemish prone skin so I normally avoid products containing oils that will be used on my cheeks or forehead), but I figured that there was no harm in giving it a go. 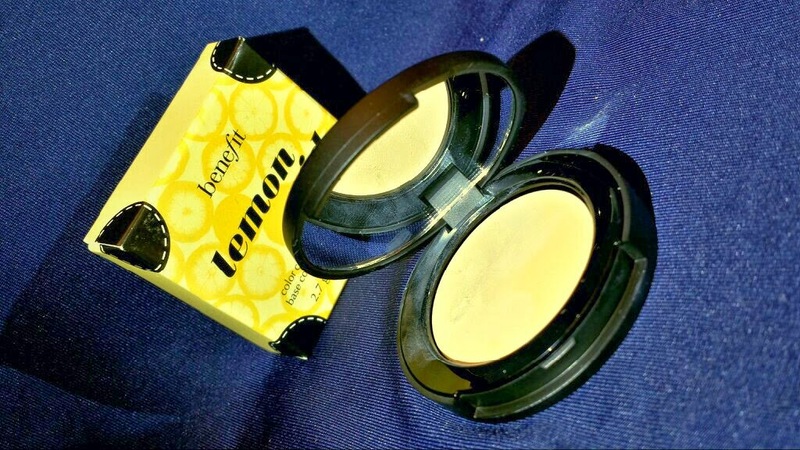 I applied it underneath foundation and concealer and the results were amazing! 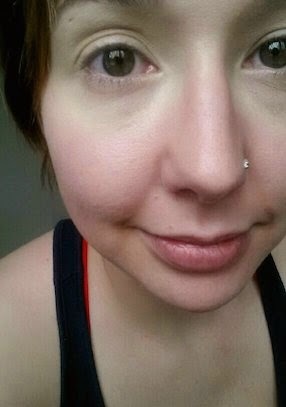 The amount of both foundation and concealer that I needed to use was significantly reduced, too. One thing to keep in mind is that this isn’t a concealer, so do not expect it to act as one. It helps a considerable amount, but depending on how red your eyes/blemishes are a concealer will still be needed for extra cover. 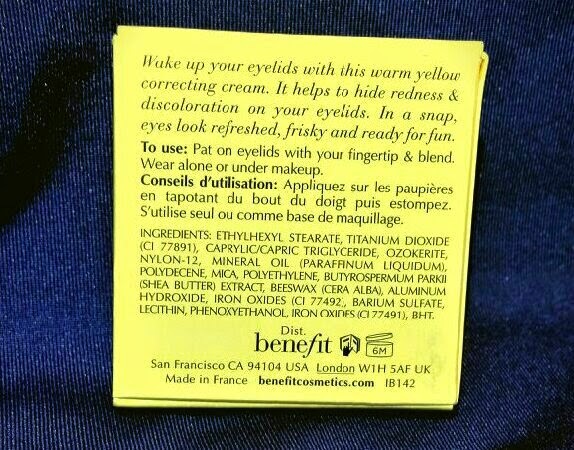 However, I rather like how my eyes look without the use of concealer when I use this. They really do look brighter and more awake! I need to apply foundation to the rest of my face though to blend out the yellow edge. Can you see the circle of where I applied the product on my eyes? When it comes to the cons of this product, I dislike how you have to use your fingers in the pot. I have tried with a cotton bud but it results in using more product which feels like a waste. Using your finger in the pot spreads bacteria, which is not cool. I have also found this product to settle into the creases of my eyelids. It's such a shame that it happens as it's supposed to be an eyelid primer and you don't expect that kind of thing to happen. Another thing to keep in mind is that this isn't a colour corrector for the entire face. When I used it on blemishes, I only used a small amount on the blemish itself to reduce redness and aid within concealing them. I didn't use it over every tiny piece of my face to do a full colour correction. For that I use my foundation to even out my skintone. I use this primarily where it is supposed to be used - the eyes. If you are looking for a colour corrector base, I read an article over on Mummy's Beauty Corner about the La Roche-Posay Rosaliac CC Cream which may be of interest to you! 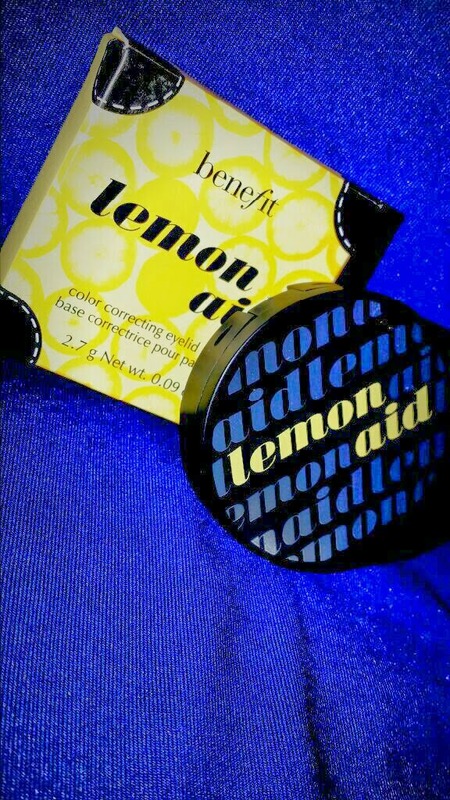 If you are interested in trying out Lemon Aid, I picked mine up from Boots for £16.50. I fully recommend this to all of the sleep deprived mummies out there! 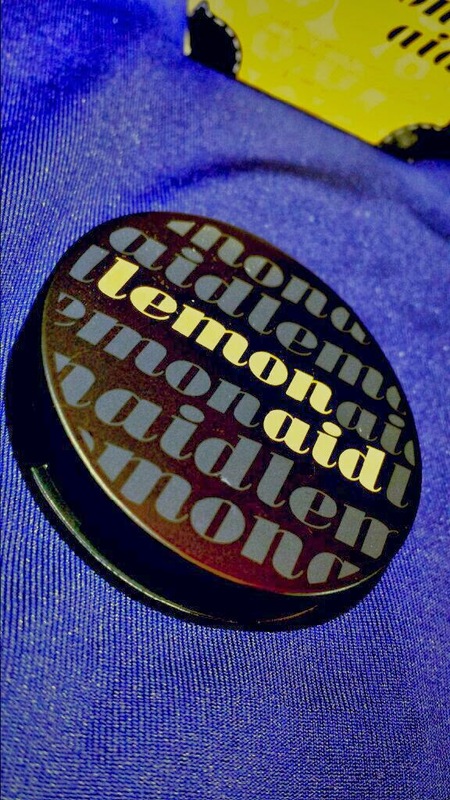 Have you tried Lemon Aid? What do you think of it? The results in your before and after photos are crazy good! And that was all before foundation and concealer! I was honestly incredibly amazed! It has honestly become my holy grail product! & No worries! 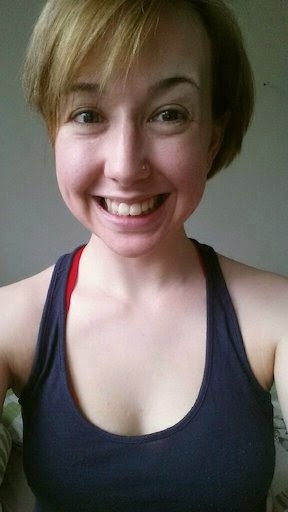 :D I very much enjoyed reading your post!